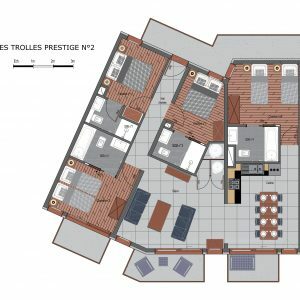 The Prestige N2 apartment is a lovely and bright open-plan chalet apartment with access onto south-facing balconies with stunning mountain views. Just like the other Prestige apartments it has 4 en-suite bedrooms sleeping up to 8 people. The entire apartment is situated on one floor. The open-plan modern kitchen, living and dining area is perfect for a self-catered holiday – You will have no trouble preparing a delicious meal for the whole family. Alternatively you are just a stone’s throw from the village centre to try one of St Martin’s gourmet restaurants. 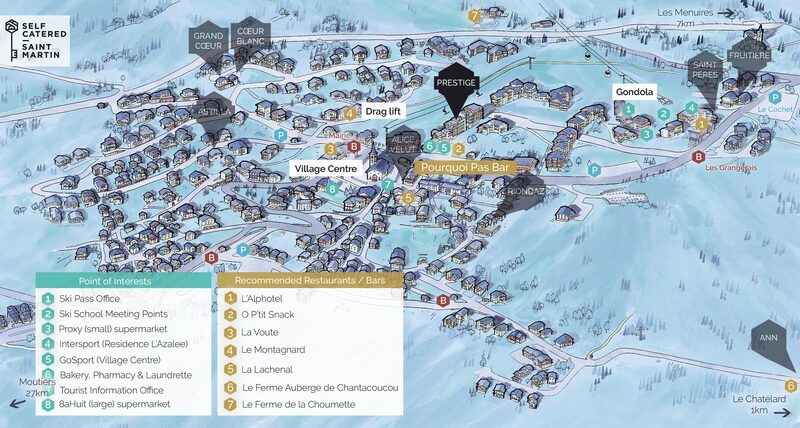 Prestige N2 is situated 5 flights of stairs down from Rue des Grangeraies and 5 flights of stairs up from the village centre. Directly in the middle. To reach the village ski slope from this apartment’s front door you either go one floor up or down.